A contemporary design style offers a clean look to bring to your kitchen. People love the fresh look that clean lines, minimalist shapes, and cool colors provide. The only problem with this style is it can be uninviting. Adding warmth can help the kitchen feel like a cozy gathering place. 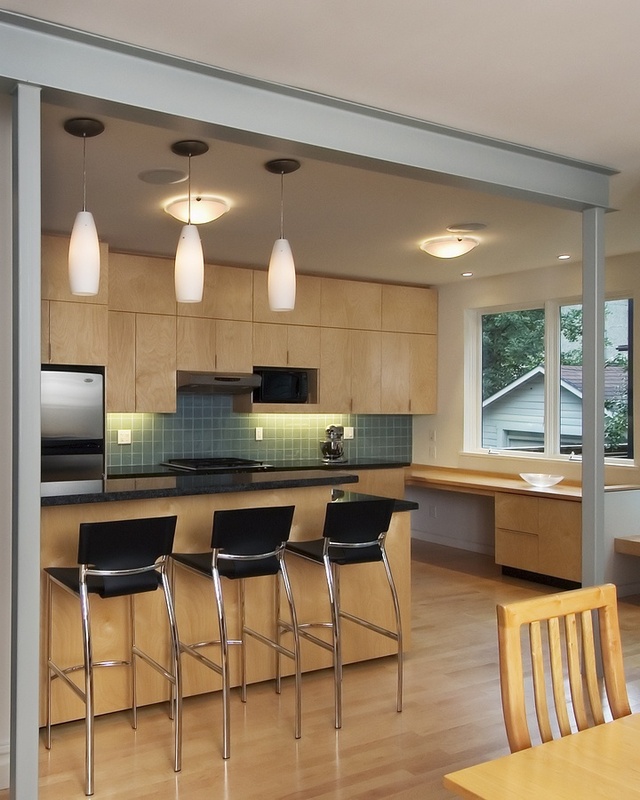 Here are a few ideas you can incorporate when designing a warm contemporary kitchen. Wood has a natural glow perfect for adding warmth to a contemporary style kitchen. There are many ways to include wood in the design, including the floor, cabinetry, backsplash, and furniture. Consider the type of wood you use carefully. Something with a lot of knots will probably look out of place. The vertical grain of quarter-sewn oak mimics the clean lines of a contemporary design exceptionally well. White is the predominant color used in contemporary design. Bring life and warmth to the space by interjecting color. 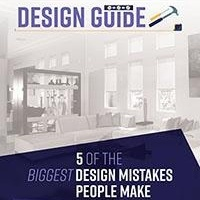 Almost any shade will bring brightness to the area, but for the biggest impact, stick to the traditionally warm colors of red, yellow, and orange. The backsplash is a great place to add color to your kitchen. Painting a wall in an accent color is an easy and affordable way to add color to an existing design. Adding warmth doesn’t inherently mean you have to use color. You can also build depth into the space to create warmth. This can be accomplished by introducing textural designs into the kitchen. The effect is stunning when working with a neutral, understated palette. Choose a few shimmery pieces while leaving other items flat or matte. Add in throw pillows to bench-style seating and stage the kitchen table with textured cloth napkins. 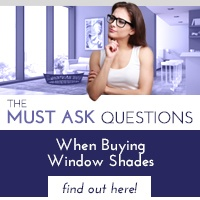 Interior window shades are a great addition to a warm contemporary kitchen. They have a sleek, modern style that fits well with a contemporary design and are available in a wide selection of colors and textures. They provide protection against the sun’s glare and damaging UV rays, while also allowing natural warmth to bring light to your warm contemporary kitchen. 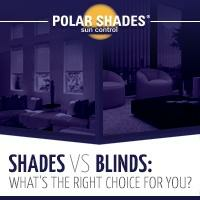 For a free in-home consultation, contact Polar Shades at 702-260-6110. 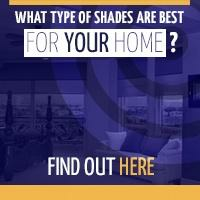 We’ll help you find the perfect interior window shades to complement your warm contemporary kitchen.